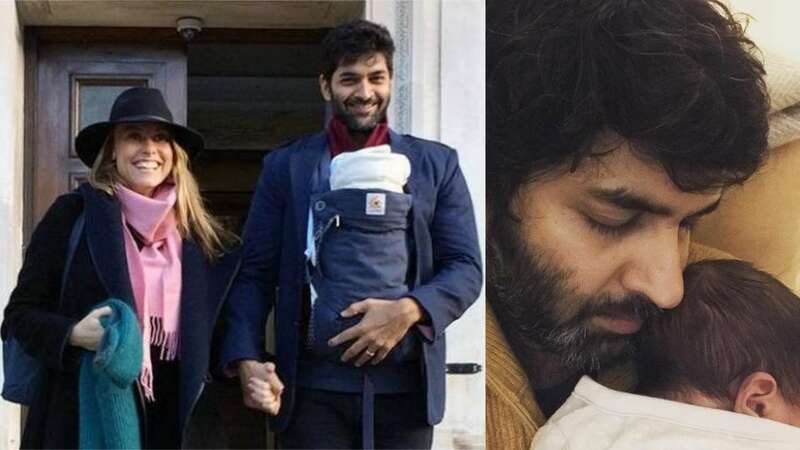 Feb 11 (AZINS) Popular film and television actor Purab Kohli introduced the Instagram world to the latest addition to his family on Monday. The actor, who became father for the second time on January 26 this year, announced the birth of his baby boy today with an adorable post. Sharing a cute picture with the baby, Purab wrote, "Balls of hair fuzzing up together. Hello #OsianNur #MySon 26/01/2019." The little one has been named Osian, a popular name in modern Wales and England. Pronounced O-Shan, Osian finds its origin in ancient Irish mythology. It's derived from the Irish legendary poet and warrior Oisín. Purab got married to his long time girlfriend Lucy Paton in February last year and welcomed their first child, a girl, before they tied the knot. Inaya is now two-years-old. Purab made his debut in showbiz with Zee TV's popular youth-based show 'Hip Hip Hurray'. Besides films like 'Rock On' and 'AirLift', he has also featured in television shows like 'P.O.W- Bandi Yuddh Ke'. Recently, Purab appeared as Angad Shergil in the web series 'It's Not That Simple' (2018) with actors Swara Bhaskar, Sumeet Vyas.